Cheshire ( /ˈtʃɛʃər/ or /ˈtʃɛʃɪər/; archaically the County Palatine of Chester; abbreviated Ches.) is a county in North West England, bordering Merseyside and Greater Manchester to the north, Derbyshire to the east, Staffordshire and Shropshire to the south and Wales to the west. Cheshire's county town is Chester. Other major towns include Congleton, Crewe, Ellesmere Port, Macclesfield, Northwich, Runcorn, Warrington, Widnes, Wilmslow, and Winsford. The county covers 2,343 square kilometres (905 sq mi) and has a population of around 1 million. It is mostly rural, with a number of small towns and villages supporting the agricultural and other industries which produce Cheshire cheese, salt, chemicals and silk. After the Norman conquest of 1066 by William I, dissent and resistance continued for many years after the invasion. In 1069 local resistance in Cheshire was finally put down using draconian measures as part of the Harrying of the North. The ferocity of the campaign against the Saxon populace was enough to end all future resistance. Examples were made of major landowners such as Saxon Earl Edwin of Mercia, their properties confiscated and redistributed amongst Norman barons. William I made Cheshire a county palatine and gave Gerbod the Fleming the new title of Earl of Chester. When Gerbod returned to Normandy in about 1070, the king used his absence to declare the earldom forfeit and gave the title to Hugh d'Avranches (nicknamed Hugh Lupus, or "wolf"). Due to Cheshire's strategic location on Welsh Marches, the Earl had complete autonomous powers to rule on behalf of the king in the county palatine. Cheshire is considered to be an affluent county. Due to its proximity to the cities of Manchester and Liverpool, counter urbanisation is common. Cheshire West has a fairly large proportion of residents who work in Liverpool, while Cheshire East falls within Manchester's sphere of influence. All four local education authorities in Cheshire operate only comprehensive state school systems. When Altrincham, Sale and Bebbington were moved from Cheshire to Trafford and Merseyside in 1974, they took some former Cheshire selective schools. Today, there are three universities based in the county, the University of Chester, the Crewe campus of Manchester Metropolitan University and the Chester campus of The University of Law. Cheshire has one league football team, Crewe Alexandra who play in League One, and two Conference Premier teams, Macclesfield Town and Chester. Chester City were also a League Two team until they were relegated to the Conference Premier in April 2009 and later dissolved. Stockport County, another former League club, were relegated to the Conference North (the sixth tier of English football) in 2012–13; Altrincham and Stalybridge Celtic are historic Cheshire's other representatives in the Conference North. Cheshire also is represented in the highest level basketball league in the UK, the BBL, by Cheshire Phoenix (formerly Cheshire Jets). The county has also been home to many notable sportsmen and athletes, including footballers Dean Ashton, Djibril Cissé, Peter Crouch, Seth Johnson, Michael Owen and Wayne Rooney. Other local athletes have included cricketer Ian Botham, marathon runner Paula Radcliffe, oarsman Matthew Langridge, hurdler Shirley Strong, sailor Ben Ainslie, cyclist Sarah Storey and mountaineer George Mallory, who died in 1924 on Mount Everest. The county has produced several notable popular musicians, including Gary Barlow (Take That, born and raised in Frodsham), Harry Styles (singer with One Direction, raised in Holmes Chapel), John Mayall (John Mayall & the Bluesbreakers), Ian Astbury (The Cult), Tim Burgess (Charlatans) and Ian Curtis (Joy Division). Concert pianist Stephen Hough, singer Thea Gilmore and her producer husband Nigel Stonier also reside in Cheshire. The county has also been home to several writers, including Hall Caine (1853–1931), popular romantic novelist and playwright; Alan Garner; Victorian novelist Elizabeth Gaskell, whose novel Cranford features her home town of Knutsford; and most famously Lewis Carroll, born and raised in Daresbury, hence the Cheshire Cat (a fictional cat popularised by Carroll in Alice's Adventures in Wonderland and known for its distinctive mischievous grin). Artists from the county include ceramic artist Emma Bossons and sculptor and photographer Andy Goldsworthy. Actors from Cheshire include Daniel Craig, the 6th James Bond; Dame Wendy Hiller; and Lewis McGibbon, best known for his role in Millions. Local radio stations in the county include Dee 106.3, Heart and Gold for Chester and West Cheshire, Silk FM for the east of the county, Signal 1 for the south, Wire FM for Warrington and Wish FM, which covers Widnes. Cheshire is one of the only counties (along with County Durham and Surrey) that does not have its own designated BBC Radio station. The majority of the county (south and east) are covered by BBC Radio Stoke, whilst BBC Radio Merseyside tends to cover the west. The BBC directs readers to Stoke and Staffordshire when Cheshire is selected on their website. The BBC covers the west with BBC Radio Merseyside, the north and east with BBC Radio Manchester and the south with BBC Radio Stoke. There were plans to launch BBC Radio Cheshire, but those were shelved in 2007 after a lower than expected BBC licence fee settlement. ^ "Relationships / unit history of Cheshire". A Vision of Britain through Time website. http://www.visionofbritain.org.uk/relationships.jsp?u_id=10193850. Retrieved 5 March 2007. ^ "Cheshire County Council". Cheshire County Council website. http://www.cheshire.gov.uk/. Retrieved 5 March 2007. ^ "Cheshire County Council Map". Cheshire County Council. Archived from the original on 5 June 2007. http://web.archive.org/web/20070605061858/http://www.cheshire.gov.uk/NR/rdonlyres/947210D0-96BD-429E-898D-3E952A4C8925/0/CheshireCountyMapforWeb.pdf. Retrieved 5 March 2007. ^ "Wrexham County Borough Council: The Princes and the Marcher Lords". Wrexham.gov.uk. http://www.wrexham.gov.uk/english/heritage/medieval_exhibition/struggles.htm. Retrieved 14 May 2014. ^ "Cheshire ancient divisions". Vision of Britain website. http://www.visionofbritain.org.uk/relationships.jsp?u_id=10193850. Retrieved 6 March 2007. ^ a b "The Cheshire (Boroughs of Halton and Warrington) (Structural Change) Order 1996". Office of Public Sector Information. http://www.legislation.gov.uk/uksi/1996/1863/contents/made. Retrieved 6 March 2007. ^ "Cheshire County Council: Revealing Cheshire's Past". .cheshire.gov.uk. 1 September 2004. http://www2.cheshire.gov.uk/Archaeology/RCP/PrehistoricSitesToVisit.htm. Retrieved 25 September 2010. ^ "Images of England". Images of England. http://www.imagesofengland.org.uk/. Retrieved 25 September 2010. ^ Details from listed building database (1261746). National Heritage List for England. English Heritage. ^ "Detailed Record". Imagesofengland.org.uk. http://www.imagesofengland.org.uk/details/default.aspx?pid=1&id=55781. Retrieved 25 September 2010. ^ "Census 2001 – Population". 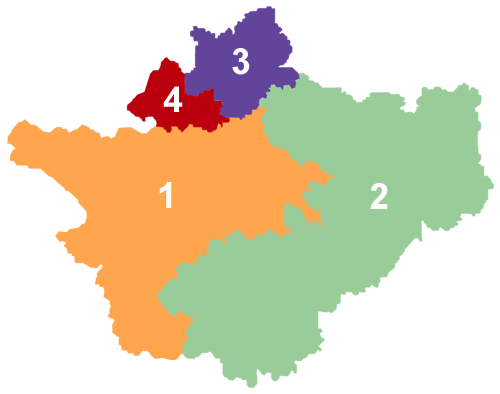 Cheshire Census Consortium. Archived from the original on 5 June 2007. http://web.archive.org/web/20070605061912/http://www.cheshire.gov.uk/NR/rdonlyres/2BA86039-3905-4E03-B2CC-1A56FF239192/0/Population.pdf. Retrieved 6 March 2007. ^ "CCC Long Term Population Forecasts". Cheshire County Council. Archived from the original on 5 June 2007. http://web.archive.org/web/20070605061908/http://www.cheshire.gov.uk/NR/rdonlyres/F648E8B3-E5AF-4832-9AB5-619CACFA87B1/0/PopF1.pdf. Retrieved 6 March 2007. ^ a b "Key Statistics Interim Profile". Cheshire County Council. Archived from the original on 5 June 2007. http://web.archive.org/web/20070605061922/http://www.cheshire.gov.uk/NR/rdonlyres/71754661-E7D9-4ECD-B71C-6163FD3574D1/0/PopC4.pdf. Retrieved 6 March 2007. ^ A Vision of Britain through Time. "Cheshire Modern (post 1974) County: Total Population". http://www.visionofbritain.org.uk/data_cube_page.jsp?data_theme=T_POP&data_cube=N_TOT_POP&u_id=10032957&c_id=10001043&add=N. Retrieved 10 January 2010. ^ "The Lord Lieutenant of Cheshire". Cheshire County Council. Archived from the original on 3 February 2007. http://web.archive.org/web/20070203042519/http://www.cheshire.gov.uk/aboutcheshire/lord.htm. Retrieved 6 March 2007. ^ "Cheshire (Structural Changes) Order 2008". Opsi.gov.uk. http://www.legislation.gov.uk/uksi/2008/634/contents/made. Retrieved 25 September 2010. ^ "BBC News, 25 July 2007 – County split into two authorities". BBC News. 25 July 2007. http://news.bbc.co.uk/1/hi/england/staffordshire/6916055.stm. Retrieved 25 September 2010. ^ "The Cheshire (Structural Changes) Order 2008". Office of Public Sector Information. http://www.opsi.gov.uk/si/si2008/uksi_20080634_en_1. Retrieved 25 February 2009. ^ "Unitary legal fight over in 60 seconds". LocalGov.co.uk. http://www.localgov.co.uk/index.cfm?method=news.detail&ID=64451. Retrieved 25 February 2009. ^ "Local Authorities". Government Offices of the North West. http://www.gonw.gov.uk/gonw/OurRegion/LocalAuthorities/. Retrieved 6 March 2007. ^ "Agricultural Holdings – Land and Employment – Cheshire – 2002 to 2005". Cheshire County Council. Archived from the original on 5 June 2007. http://web.archive.org/web/20070605061926/http://www.cheshire.gov.uk/NR/rdonlyres/8AC07978-47FE-4BA6-8063-39F5AFB0978D/0/EcE3.pdf. Retrieved 3 June 2007. ^ a b c "Cheshire Economy (page 64)". Cheshire County Council. Archived from the original on 5 June 2007. http://web.archive.org/web/20070605061855/http://www.cheshire.gov.uk/NR/rdonlyres/5F4B2042-1BCB-4F74-B53B-6EE65E28372E/0/CheshireEconomy.pdf. Retrieved 6 March 2007. ^ "Kidderminster 4 Chester 0". BBC Sport. 20 April 2013. http://www.bbc.co.uk/sport/0/football/22133379. Retrieved 22 July 2013. ^ "The Thundersprint". http://www.thundersprint.com/first_timers_guide.html. Retrieved 12 May 2011. ^ "BBC Radio Cheshire - Radio - Digital Spy Forums". Forums.digitalspy.co.uk. http://forums.digitalspy.co.uk/showthread.php?t=311275. Retrieved 14 May 2014. ^ "BBC News - Stoke & Staffordshire". Bbc.co.uk. http://www.bbc.co.uk/news/england/stoke_and_staffordshire/. Retrieved 14 May 2014. ^ "Things to do > Plantlife in your area > North-west England". Plantlife. http://www.plantlife.org.uk/things_to_do/regions/north_west. Retrieved 11 July 2012. ^ "Why Cheshire fat cats smile". The Times (London). http://property.timesonline.co.uk/tol/life_and_style/property/buying_and_selling/article1087249.ece. Retrieved 6 March 2006. ^ "Cheshire ancient county boundaries". Vision of Britain website. Archived from the original on 6 May 2007. http://web.archive.org/web/20070506230504/http://www.visionofbritain.org.uk/bound_map_page.jsp?first=true&u_id=10193850&c_id=10001043. Retrieved 6 March 2007. ^ "Cheshire 1974 boundaries". Vision of Britain website. Archived from the original on 6 May 2007. http://web.archive.org/web/20070506230240/http://www.visionofbritain.org.uk/bound_map_page.jsp?first=true&u_id=10032957&c_id=10001043. Retrieved 6 March 2007. ^ "Road policing". Cheshire Police website. http://www.cheshire.police.uk/showcontent.php?pageid=1071. Retrieved 14 June 2009. Starkey, H. F. (1990). "Old Runcorn". This page uses content from the English language Wikipedia. The original content was at Cheshire. The list of authors can be seen in the page history. As with this Familypedia wiki, the content of Wikipedia is available under the Creative Commons License.